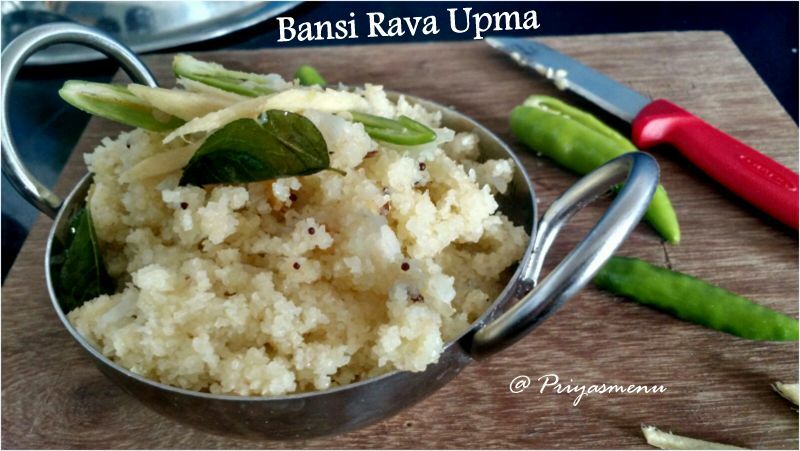 Bansi upma is a easy, tasty and healthy breakfast which can be served with any varieties of chutney or sambhar. 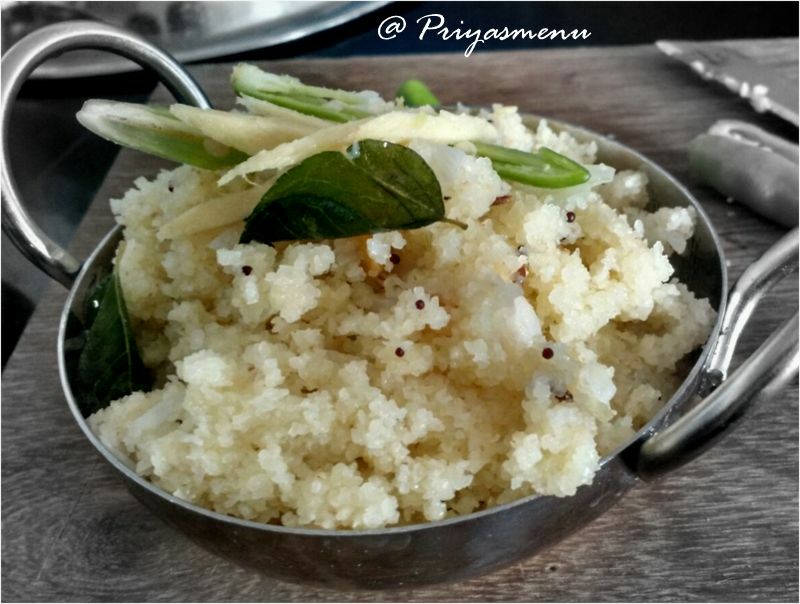 Personally, I love this upma with kara kuzhambu or Puli kuzhambu. I had posted lots of recipes using Bansi rava along with its benefits. So, check out my previous diet friendly posts to know more about this nutritious rava. Heat pan and dry roast bansi rava. Heat oil in a pan and add mustard seeds followed by jeera, channa dal and hing. Add the chopped onion and saute till it translucent. Add green chillies followed by ginger, curry leaves and required amount of salt. Add the measured water and let it boil. Add the roasted rava little by little and stir well to avoid the formation of lumps. Stir till the water gets absorbed. Once done, simmer the flame, close the pan with lid and cook it for 5 minutes. Switch off the flame and keep aside for 5 - 10 mins.